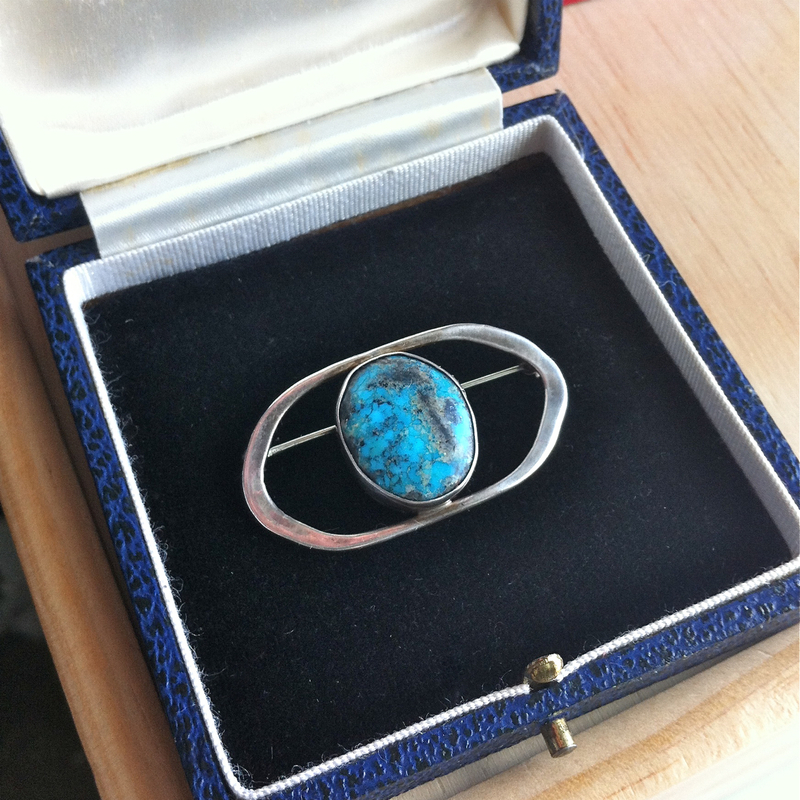 My first thrift shop find of 2014: This silver and turquoise oval pin. The stone is simply gorgeous, so the minimalist setting really frames it well. It is marked, but alas all I can make out are the letters S and T. It looks like a studio piece to me.